There was some crazy ridiculousness in the way of greyhound-related Christmas gifts this year, and we loved every bit of it!! Today, we'll have to focus on covering just Ana and Blue since they received quite the haul on their own! Some of you may have seen on Facebook that they received more gift card dollars than I did for Christmas! That's right- the grandparents, aunts, uncles and parents spoiled them, and our two grey-babies ended up with $150 in gift cards this Christmas, along with some great toys! Their Aunt Andrea and soon-to-be Uncle Jason bought them each a stuffie from the Planet PETCO line of toys (the elephant and turtle pictured above, right and left). They are absolutely nuts for them, and I love how they utilize recycled and renewable resources in their creation! Their Uncle Matt and Aunt Ashley bought them biscuit mix (and they contributed to the gift card fund for them in the way of a $25 gift card to 1-800-PetSupplies.com)! And, they received a whole book of goodies that we can make them and fun cookie cutters, too, from my mother-in-law! Ana, being our food-motivated hound, picked out the new Kong Wobbler! It is about 10" tall and has a weighted bottom so that it "weebles and wobbles, but it won't fall down"! 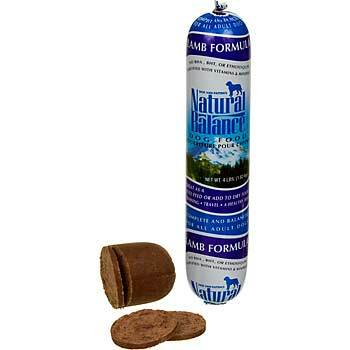 It can be filled with treats or food and sits upright until the dog pushes it over, then it dispenses some of the treat/food. She loves anything that will provide her a little treat, but at least it will make her work a little harder at it (since she has "sit" and "lay" perfected...and "stay" when she wants to!). 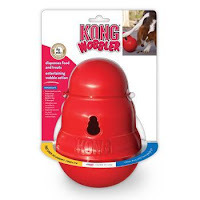 The Kong Wobbler is made in the USA of durable, FDA food-approved, high-strength polymer, it unscrews for a quick filling and easy clean-up, and I can still stick it in my dishwasher! Woot! 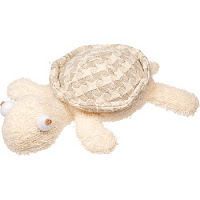 And Blue, the lover of all toys that are as big as he is, picked out a huge, floppy, green turtle with a grunter! 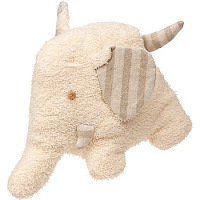 Because it has a grunter in it, instead of a standard squeaker, Ana has tried to lay claim to his toy, because she is just nutso for grunters, but we are trying to give him at least a week of it being just "his" toy (at least while we are at home to monitor it!). Stay tuned for another post on what the humans received that was greyhound related...so excited to share! :) I hope everyone had a wonderful holiday with their hounds!